A retired carpenter claims he was abducted by aliens while walking home from Christmas drinks. Gerry Battles, 61, said he was taken by the extraterrestrials after going for two festive drinks with a friend in Pallaskenry in County Limerick, Ireland. He said he was subsequently paralysed, faced by a ‘cone-headed’ alien and warned that the world will end in 850 years’ time, the Irish Mirror reports. He was also apparently transported to the North Pole in the blink of an eye. 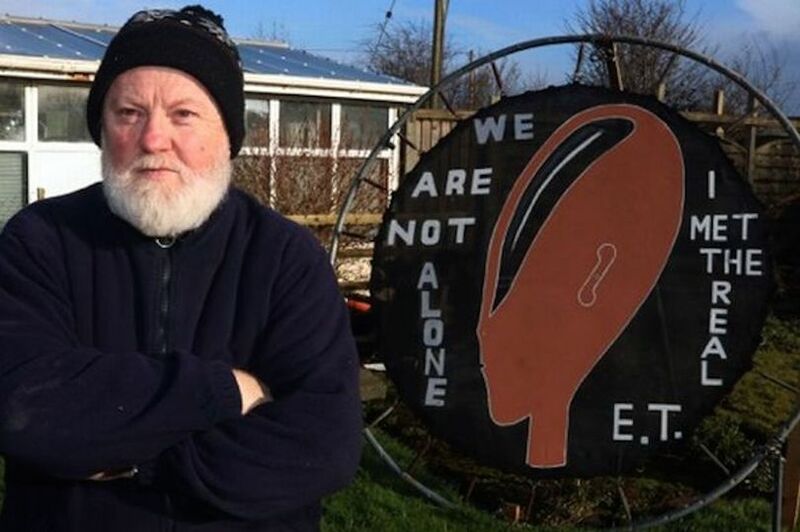 Gerry claimed his encounter with the aliens occurred on December 26, 2001, as he walked home from The Seven Sisters Pub in Kildimo. “I was only minutes away from my house. It was a clear, dry night,” he said. After being drawn by the white light, Gerry remembers finding himself aboard a spacecraft with about 40 others — all in a subdued state, standing motionless like statues. He told The Limerick Post: “They were all male, of different age groups, all standing shoulder to shoulder like mannequins. “I remember one man next to me wearing a Columbo-style coat and hat. We were all in a state of paralysis, I could only move my eyes, so I couldn’t see much. “The next thing I remember floating into another bigger chamber with a 360 degree viewing deck. It was then I saw the extraterrestrial. “I couldn’t tell how big he was or even if he had arms or legs, all I remember is his big cone head and his beautiful, ginormous eyes. “They were jet black, almost like mirrors. “He spoke to me through telepathy and said: “you are not terrified like the others”. “No, I am not. Should I be?” Gerry asked. The alien then quizzed the Limerick grandfather about what he would like to see. “The North Pole”, came his instant reply. He admits that anyone he has revealed this fantastical story to thinks he is mad and laughs when asked if he has any history of mental illness. “No, not at all,” he replies. He said those who don’t believe his tale are “naive and have small imaginations” before revealing the alien warned him that mankind will go the same way as the dinosaurs when a giant asteroid smashes into earth. Gerry says the alien told him mankind has come a long way but its time is running out. “In 850 years from now, a giant asteroid the size of Munster is going to obliterate your planet. The asteroid will approach your planet from the 35th Quadrant,” the alien said. “You must use the force. Be one with the force. Harness the force,” the alien advised. Gerry said the alien also warned us not to trust governments or the banks as they have been ‘lying to us since day one’. He has no recollection of how long the abduction lasted and had no memory of it afterwards until the coat he was wearing that night turned on the roof of the Regional Hospital.